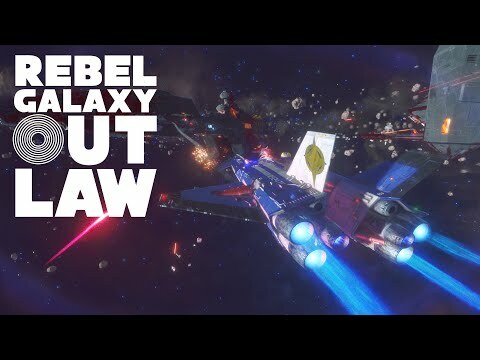 Rebel Galaxy Outlaw is a prequel to 2015’s Rebel Galaxy, set 34 years prior in a series of star systems closer to old Earth. You’ll inhabit the role of Juno Markev, an outlaw and smuggler who went straight and settled down until events conspired to drag her back into the life. After an encounter in a shady watering hole goes bad, your ship is trashed, and you find yourself in debt to an old friend and casino owner who gives you a rustbucket and some words of advice. Packed with exciting combat, unique ships, and over twenty hours of great music, Rebel Galaxy Outlaw drops you into a retro future steeped in blue-collar Americana. The upcoming Rebel Galaxy Outlaw PC, PS4 and Switch release date is expected to be Q2 2019 in the US and the UK. Notify me when Rebel Galaxy Outlaw is available.